This refers to recent announcement by Prime Minister that Direct Benefit Transfer (DBT) shall be extended to another 78 districts from July onwards taking the total number of districts under the scheme to about 120. The Direct Benefit Transfer (DBT) has received lot of attention since January 1, 2013 and is often cited as the next big game changer in the service delivery mechanism of the Indian governance. What exactly is DBT and how is it different from electronic fund transfers (EFT) which is already happening? How is DBT going to be a game changer if at all? But this is same as what’s being done in EFT! The difference is that in addition to the facility of electronic cash transfers under EFT, DBT also captures the Aadhaar number of the beneficiary. This means that the individual Aadhaar number is seeded into bank accounts of individual . So what’s the advantage of DBT over EFT? While bank account number is the focal point in EFT, its aadhaar number in DBT. Which means that an individual just need to refer to his aadhaar number for any accruals and the amount goes to his account. Under EFT, an individual can have multiple accounts and it is difficult for him to keep track of his account details as well as it’s not possible to keep a unified picture of transfers to an individual account. Under DBT, the individual just need to refer to his Aadhaar number and all accruals go to individuals account. From a policy perspective, it means that all benefits going to a beneficiary can now be tracked and kept account for. So far, it’s not been possible to keep track of flow of benefits to individuals and whether it’s actually reaching them. This will now be possible. DBT will also ensure that duplications if any while claiming benefits and ghost accounts are wiped out and only genuine beneficiaries get their entitlements. The actual implementation experience during the pilot phase has also brought out a positive feature that a district level exercise has been taken up in all such cases to identify the beneficiary actually. This means that the ghost/fictitious accounts will be weeded out during the process. Most of these schemes are scholarships due to students and the other category is passing of maternity benefits. Till March 2013, a total of 29,817 transactions involving Rs 100.37 millions were done through DBT. A total of 1.626 million intended beneficiaries got covered. It was found that of these, 77.5% have Bank account, 31.4% have Bank account & Aadhaar number. However, only in about 2.5% of the database, were the details of Bank accounts were seeded with Aadhaar. This is not surprising because the synchronization of the two had not started till such time DBT started and this poses the greatest challenge in successful implementation of DBT. Schemes which are presently included under DBT - The schemes included in the pilot are mainly entitlement based and can at best be described as peripheral and urban based. The number of beneficiaries under such schemes is limited. Schemes such as MGNEREGA and subsidy based schemes such as kerosene, cooking gas and fertilizer has not been made a part of DBT so far. MGNEREGA couldn’t be integrated so far because payments under MGNEREGA are through post offices which are not linked with core banking solution (CBS) as of now. A precondition for DBT is that the system has to be CBS enabled to ensure transfer of funds. PM has announced that three pension schemes under the National Social Assistance Programme (NSAP) of Ministry of Rural Development – National old age pension scheme, national widow pension scheme and national disability pension scheme, would now be a part of the roll out. The flagship programme, rolled out in 43 districts in its first phase in January, will now be expanded to include LPG subsidy in a phased manner to cover 20 districts by May 15. The scheme is to be further expanded to include post offices from October 1. (expecting that Post office network will be CBS enabled by then). Capturing each beneficiary’s bank account details – the availability of a banking facility and financial inclusion is a must and it will be a problem where banking facility is not available or is not CBS based. Every individual to have an aadhaar number- even though, most of the pilot districts were urban based (and thus having a higher level of financial inclusion), the aadhaar enrolment levels were only about one-third. If the scheme is going to be Aadhaar based, a cent percent enrolment is a pre-condition and the time frame and cost efforts for achieving this could be humungous. Seeding Bank account details with Aadhaar – this is something which is to be done manually for all the existing bank accounts who have got Aadhaar number. While bankers have been assigned the responsibility of carrying out the marriage of two, it poses a huge challenge and could be a major stumbling block in terms of ensuring 100% merger. In fact, PM pointed out the “unsatisfactory nature of tracking and monitoring” systems as the main reason for scheme’s little impact during the pilot phase. Any new effort faces huge stumbling blocks especially in the initial phase. The challenge lies in continuing with the effort, assigning clear responsibilities to various agencies, owning up of responsibilities by these agencies and constant follow up with continuous calibration of DBT based on field experience. Prime Minister has announced rolling out in additional 78 states with effect from May 2013. While the time available with the agencies wasn’t sufficient in the pilot phase, the actual enrolment experience, esp transfer of amount with Aadhaar as the base, is likely to be far better in the second phase. DBT is not something cosmetic and its more about the process re-engineering involved in transfer of funds from Government directly to the beneficiary. DBT will help confirm on the theoretical biases esp when sweeping statements (majority of beneficiaries are bogus or ineligible) are made as criticisms of some of these schemes. It is also seen that beneficiaries are finally made an inclusive part of the scheme when transfer will be bio-metric. DBT will also act as a watchdog and will put greater accountability on the service provider. 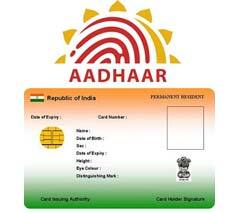 I want to download my aadhar card write now.